What accounts for the lasting appeal of British motorcycles? "By the 1950s, British motorbikes were the fastest, most desirable thing on two wheels anywhere in the world." 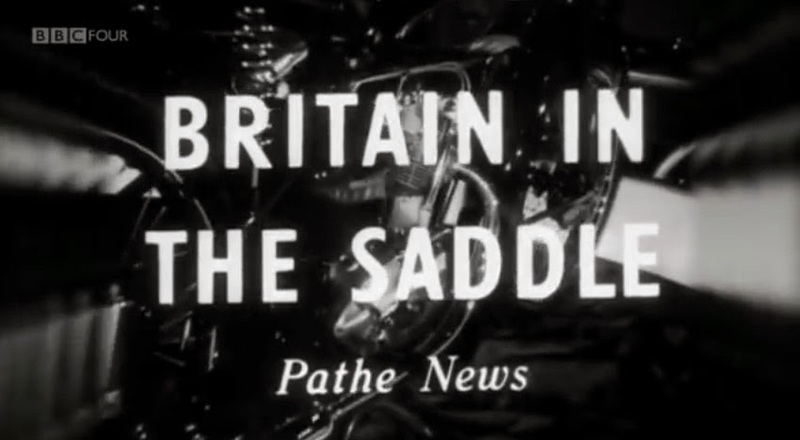 So begins "Full Throttle: The Glory Days of British Motorbikes," a splendid recent BBC documentary on British motorcycles. It has it all: racing at Brooklands and the Isle of Mann, Lawrence of Arabia, the Brough Superior, wartime service, the Ace Cafe, the rockers, ton-up boys, juke boxes and leather jackets. The video came to my attention recommended by Royal Enfield enthusiast Chris Overton, who called it "some people's roots." British riders of the 1960s helped create the legend of the motorcycle rebel, the documentary states as it opens. But it goes on to explain that the roots go far deeper than that: "for more than 40 years, British motorbikes ruled the world." Early British motorcycles were dodgy affairs, but the roads were worse — "little more than goat tracks." T.E. Lawrence called them "unfit roads." And by his time at least some of the horses were gone, replaced by motor vehicles. Earlier riders not only contended with unpredictable horses on the road, and the muck they left behind, but with teamsters who were as likely to use the whip on a motorcyclist as they were to wave. Ex-soldiers, who'd learned to ride in World War I, weren't dissuaded. At least, now, no one was shooting at them. Bad roads improved the breed, racing refined it further and, when roads improved, British riders were ready. Fired by caffeine and rock'n'roll they turned having a fast and stylish motorcycle into a cult. It's one that refuses to go away. "Full Throttle: The Glory Days of British Motorbikes" suggest there's a reason for that. British motorcycles represented the spirit of fun, coolness and rebellion for so long it became lasting. It wasn't just about the cafe racers. The enthusiasm of Lawrence, the bravery of Isle of Mann racers, the patriotism of the Dispatch Riders, and the independence and style of the ton-up boys left a legacy.